When family members or close friends move into their first home, it can be difficult to find a meaningful housewarming gift. Often the best gifts are those that are practical, things that a new homeowner may not even know they will need. But when the time comes to use it, they will be extremely grateful. These gifts may not be flashy, and they don’t even have to be expensive, but they will be appreciated. One of the most popular categories of housewarming gifts is kitchen items. For first time homeowners or newlyweds, it seems kitchen gadgets or food and drink seem to be popular. Thinking of getting a bottle of your favorite wine? Include an electric wine opener to make uncorking the bottle and future bottles much easier. Give a complete meal kit with all of the necessary ingredients for a dinner that is ready to make. Include a gift card for Blue Apron or another meal kit delivery service. Depending on how well you know someone, it can be difficult to choose decorative items that will suit their tastes. A gift card to a home décor store is usually a safe bet. This will allow the recipient to choose items that they like and will match their style. New homeowners may not know all of the responsibilities that come with homeownership. Give a basic toolkit or a gift card to a home improvement store. If this is your neighbor or a friend who has moved in near you, give a gift certificate from your preferred HVAC company toward maintenance, repairs, or heating fuel in Burlington. A gift certificate from any local service you can recommend is a valuable gift, whether it’s a landscaping service, appliance repair, or housecleaning service. One of the best gifts you can give new homeowners is advice. A home inspection should have been conducted as part of the buying and selling process, which would have detected any major problems with the home such as foundation, roof, or plumbing. However, after moving in, new homeowners should check these 5 things. Heating and Air Conditioning System. One commonly overlooked area is the HVAC system. The heating and air conditioning unit in a new home may need maintenance. After moving into a new home, it’s a good idea to have your system inspected and tuned up. Propane or Oil Tank. 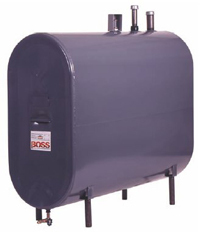 If there is a propane or heating oil furnace, the tank may need a refill. You can contact the company who supplied the tank, or you can contact Alamance Oil for heating fuel in Burlington, including a free tank swap out and other advantages for new customers. Electrical System. Check your circuit breaker panel for any tripped circuit breakers or anything that seems amiss. If so, contact an electrician. Cable/internet connection. Make sure your cable, internet, and Wi-Fi are all working properly and that all services are transferred to your own account. Security System/Locks. If your new home has a security system, be sure you contact the company to transfer service, establish passcodes and security information, and replace door locks. Call Alamance Oil at (336) 273-8663 for maintenance, fuel refills, gift certificates, and any other services related to your HVAC system.